The purpose of this research was to study electric and physiological mechanisms of the achievement of the antoconvulsant effect of the new original beprodon combination together with determination of determinant brain structures – therapeutic targets. Materials and Methods. Partial (focal) and secondary generalized convulsions were generated using the method of creation of a chronic epileptogenic focus, caused by the cobalt application on rats’ brain. Results: it was revealed, that at the first stage of the epileptic system (ES) beprodone is targeted to cortical focuses, and at the second stage – to subcortical focuses, generating epileptic activities. Conclusion: the beprodone effect depends on the stage of the epileptic system development and is targeted to determinant focuses. Voronina Tat'yana Aleksandrovna – professor, MD, head of the Laboratory. Address: Baltiiskaya str., 8, Moscow, 125315. Nerobkova Lyubov' Nikolaevna – Ph.D., Senior Research Fellow. Avakyan Gagik Norairovich – MD, Honored Scientist of Russia, Professor of Neurology and Neurosurgery. Address: Ostrovityanova str., 1.Moscow. 117997. Bakhutashvili Aleksandr Vladimirovich – Ph.D., General Director. Address: Salyama Adilya str., 9, Moscow, 123154. 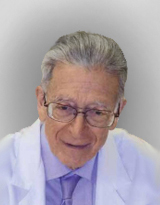 Avakyan Georgii Gagikovich – MD, PhD, Department of Neurology, Neurosurgery and Medical Genetics. Kapitsa Inga Gennad’evna – PhD, Senior Researcher. Gaidukov Igor’ Olegovich – Post-graduate. Kovalev Ivan Georgievich – Post-graduate. 1. Avakyan G.N., Nerobkova L.N., Voronina T.A., Markina N.V. Mitrofanov A.A. Eksperimental’naya i klinicheskaya farmakologiya. 2002; 2: 7-10. 2. Voronina T.A., Nerobkova L.N., Stoyko M.I., Avakyan G.N. Eksperimental’naya i klinicheskaya farmakologiya. 2003; 66 (1): 5-8. 3. Voronina T.A., Nerobkova L.N. Guidelines for preclinical studies of drugs: guidelines for the study of anticonvulsant activity of pharmacological substances. Part 1. Chapter 14 [Rukovodstvo po provedeniyu doklinicheskikh issledovaniy lekarstvennykh sredstv: metodicheskie ukazaniya po izucheniyu protivosudorozhnoy aktivnosti farmakologicheskikh veshchestv. Chast’ 1. Glava 14]. Moscow. 2012; 235-250. 4. Butler A.B., Willmore L.J., Fuller P.M., Bass N.H. Focal alteration of dendrites and astrocytes in rat cerebral cortex during initiation of cobalt-induced epileptiform activity. Exp Neurol. 1976 Apr; 51 (1): 216-28. 5. Bregman F., Le Saux S., Trottier L., Chauvel P., Maurin Y. Chronic Cobalt-induced Epilepsy: Noradrenaline Ionophoresis and Adrenoceptor Binding Studies in the Rat Cerebral Cortex. J. Neural Transmission. 1985; 63: 109-118. 6. Chang L.W., Payan H.M. Cobaltinduced epilepsy: an ultrastructural study. Neurol Res. 1979; 1 (1): 19-29. 7. Clayton P.R., Emson P.C. Spread of cobalt from a cortical epileptic lesion induced by a cobalt-gelatine implant into the frontal cortes of the rat. Experientia. 1976 Oct 15; 32 (10): 1303-5. 8. He J., Hsiang H.L., Wu C, Mylvagnanam S., Carlen P.L., Zhang L. Cellular mechanisms of cobalt-induced hippocampal epileptiform discharges. Epilepsia. 2009 Jan; 50 (1): 99-115. 9. Hyon Mee Chun, Jae Moon Kim1, Young Ho Lee. Pattern of Hippocampal Cell Changes in Cobalt / Homocysteine induced Status Epilepticus. The Korean J. Anat. 2002; 35 (1): 37-42. 10. Sugaya E., Ishige A., Sediguchi K., Yuzurihara M., Iizuka S., Sugimoto A., Hosoya E. Damage of hippocampal neurons caused by cobalt focus in the cerebral cortex of rats. Brain Res. 1988 Aug 30; 459 (1): 196-9. 11. Trottier S., Berger B., Chauvel P., Dedek J., Gay M. Alterations of the cortical noradrenergic system in chronic cobalt epileptogenic foci in the rat: A histofluorescent and biochemical study Neuroscience. 1981; 6: 1069-1080. 12. Trottier S., Claustre Y., Caboche J., Dedek J., Chauvel P., Nassif S., Scatton B. Alterations of noradrenaline and serotonin uptake and metabolism in chronic cobaltinduced epilepsy in the rat. Brain Res. 1983 Aug 8; 272 (2): 255-62. 13. Van Ostrand G., Cooper R.M. [14C]2deoxyglucose autoradiographic technique provides a metabolic signature of cobaltinduced focal epileptogenesis. Epilepsia. 1994 Sep-Oct; 35 (5): 939-49. 14. Walton N.Y. et al. Lamotrigine vs. phenytoin for treatment of status epilepticus: comparison in an experimental model. Epilepsy Res. 1996; 24: 19-28.